GRANDER is a member of the group "Applied Water Physics" at the Dutch Water Research Organisation WETSUS, which is led by Dr. Elmar Fuchs, and is therefore, up to date in water research developments, that are seeing a definite upturn after just ticking along for decades. What or who is "Wetsus"? Dipl. Ing. Larch (Leader of Research for GRANDER®): Wetsus is an international centre of excellence for research of sustainable water management in the Netherlands and has created an inter-disciplinary platform, in which well-known scientists from all over the world bring the phenomenon of water from various perspectives closer to international companies. 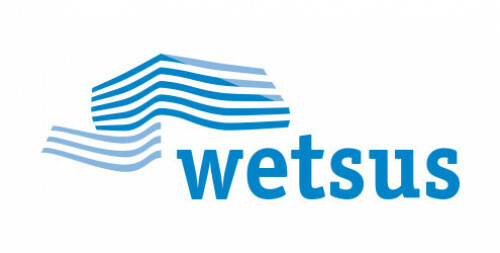 Since 2008 Wetsus is the only worldwide centre, at which the special education and title "Master of Water Technology" can be obtained. What topics and projects does Wetsus work on? Dipl. Ing. Larch (Leader of Research for GRANDER®): The scientific research programme comprises the private and public areas regarding water. Research groups are working on more than 20 specialized areas of water, solving global water problems, for example the cleaning of lakes and rivers through algae, reducing the sewage sludge through organisms or unconventional water treatment methods. The specialized area in which Grander is actively represented is led by the Austrian scientist Dr. Elmar Fuchs. Why is "Austria" so strongly represented at Wetsus? Dipl. Ing. Larch (Leader of Research for GRANDER®): The Austrian scientists and researchers are leaders when it comes to water research and are highly regarded in the world of physics and measurement technology. Furthermore, within the area of nature research Austria and its (water) mentors Viktor Schauberger and Johann Grander have made the running for others. What has been discovered at Wetsus? Dipl. Ing. Larch (Leader of Research for GRANDER®): The work group "Applied Water Physics" with Elmar Fuchs and Grander has discovered a new state of water and in doing so, have contradicted the postulates of science known to date, namely, that water takes on only two basic states (liquid water and ice) when it comes to its inner order. How is this discovery connected to the "water bridge" by Elmar Fuchs? Dipl. Ing. Larch (Leader of Research for GRANDER®): The team of Dr. Elmar Fuchs at the TU Graz re-visited the experiment with the water bridge (putting distilled water in two glasses under high tension repeatedly and then taking the two glasses slowly away from each other) and had a closer scientific look at the phenomenon of the water bridge for the first time. The water bridge shows undreamt-of characteristics of water and it could be demonstrated for the first time that the water of the water bridge differentiates itself in terms of its structure from normal water.